Do you believe that young musicians deserve to be heard, recognized, and supported? We do. And we hope you do too. 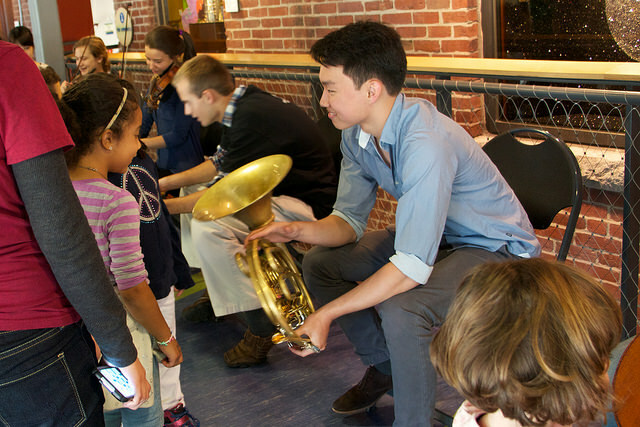 At From the Top, we believe in the power of music in the hands of extraordinary young musicians. Our media, scholarship, and arts education programs give these dedicated, hard-working, and talented young people support and recognition as they develop into the musicians and leaders of tomorrow. From the Top is an independent non-profit organization. Though our radio show is distributed by NPR, we are not a public radio organization and receive less than 8% of our revenues from radio carriage fees. Thanks to generous individual, corporate, and foundation donors, From the Top’s media and outreach programs are delivered to the public free of charge.